Want to help us with our conservation science programs? We have volunteer opportunities with our three core programs. The Iona Island Bird Observatory (IIBO) monitors wintering and migratory birds. Volunteer at IIBO during the spring, fall, or winter to help us learn more about the birds at Iona Island Regional Park, and learn more about bird monitoring techniques. Email iibo@wildresearch.ca with questions or to volunteer. The Nightjar Survey collects baseline data on nightjars, a group of nocturnal birds of conservation concern. Survey a nightjar route in anywhere in western Canada in June and July, or help us process acoustic recording unit (ARU) data during the winter. Email nightjars@wildresearch.ca or see our program page for more details. 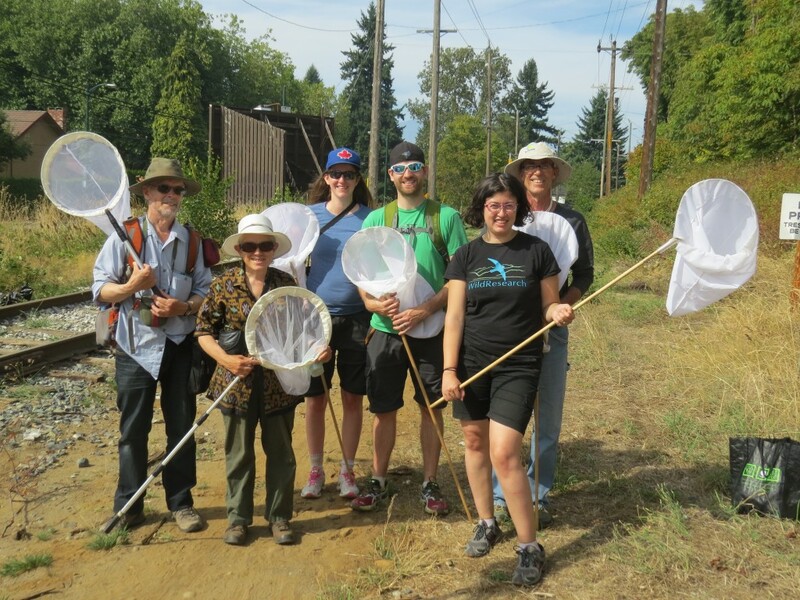 Help WildResearch with Butterfly Monitoring throughout the summer around Vancouver, BC to monitor butterfly populations and learn more about butterfly identification.